How Much Exercise is Enough? How Much is Too Much? Everyone’s exercise tolerance and fundamental needs are going to be unique, but there are a few things we can generalize. I think there is a minimum that almost everyone will need to meet in order to be metabolically healthy, and also a point at which exercise stops being helpful and becomes harmful. Between those two points is the potential for individualization and experimentation. full body resistance exercises twice a week (such as weight lifting or even yoga. These activities can be included in the 150 or 75 minutes above if they elevate your heart rate adequately). You can meet these minimums in five 15-30 minute sessions, depending on the intensity you work at. The higher the intensity of your workout, the shorter it can (and really should) be. For more information on how to determine the intensity of your exercise, check out my ‘Walking for Health and Fitness’ post. Determining what is ‘too much’ is much less cut and dry. Clearly there are people (like Ironman Triathletes and Ultra endurance runners) who thrive on large volumes of exercise. But it is possible to exercise too hard, or too much. Overtraining is a real condition, with a pretty well defined set of symptoms, although it can be difficult to diagnose it properly. The objective symptoms of overtraining include: changes in heart rate response, elevated cortisol after exercise, reduced reaction time and performance, and immune suppression. The subjective symptoms include: changes in mood, sleep disturbances, perception of stress and changes in self perception. ‘Overtraining‘ is a catch-all term to describe the process of intensified training leading to decreases in performance. The first stage of overtraining is ‘Functional Overreaching‘ in which performance suffers but resolves after adequate rest. ‘Non-functional Overreaching‘ is a decrease in performance and psychological and neuro-endocrinological symptoms that resolve after adequate rest. And ‘Overtraining Syndrome‘ is a longer term decrease in performance (more than 2 months) accompanied by more severe objective and subjective symptoms of overtraining. It is important when attempting to diagnose overtraining to rule out other psychological or physiological illnesses that could be producing these symptoms. There are MANY conditions that could be present, from endocrine disorders to nutritional deficiencies to infectious disease to eating disorders. Like other troublesome self-diagnoses (Sugar Addiction, and Adrenal Fatigue for instance) the danger in self-diagnosing and treating is that there may be a real illness present for which inaccurate self-diagnosis hinders appropriate treatment. In my opinion and experience, when a non-athlete is experiencing these symptoms it’s far more likely they’re dealing with a nutritional deficiency or an eating disorder than true overtraining. Getting proper diagnosis and treatment is vital or the problem will only get worse. For the vast majority of people, allowing adequate time between workouts for recovery is all that is necessary to prevent overtraining. Your individual recovery requirements are unique, the best thing you can do is monitor your energy levels and sense of enjoyment during workouts. If you are dreading exercise you used to enjoy and counting the minutes until it is over, or feeling a lack of accomplishment after workouts that used to make you feel awesome, take a few days off, and dial back the intensity of your workouts until your enthusiasm returns. In some cases, complete rest is indicated, but in my opinion these cases are pretty rare. Exercise is so fundamentally important to healthy metabolic function that I think complete rest should be reserved for those who have the clinical symptoms of overtraining,and/or those who are dealing with metabolic adaptations to starvation. People who need to completely stop exercising are sick enough that they need to be under medical supervision anyway. Most people can prevent overtraining from progressing to Overtraining Syndrome by resting adequately between workouts and reducing the intensity of their activity. If you feel like you’re dealing with something more than a temporary bout of fatigue, or resting doesn’t improve your symptoms, see a doctor. Get a referral to an endocrinologist and/or a therapist, and get tested for the psychological and physiological effects of overtraining. And keep an open mind to the potential that it might not be overtraining, that it might be a psychological issue. Getting an accurate diagnosis and appropriate treatment will ensure you won’t waste time and money treating an illness you don’t have. Follow the advice of your medical professional if you find yourself dealing with these issues. As I said above, self diagnosing, or relying on an internet personality for diagnosis, puts you in danger of not getting appropriate treatment. This is a fairly big problem, as overtraining is a trendy diagnosis these days. These symptoms should not be taken lightly. Most people will do just fine with regular, moderate activity in the form of walking, cycling, or casual social sports activities and some basic resistance exercises a few times a week. People who enjoy more vigorous forms of exercises will likewise do fine as long as they make sure to give their body proper recovery time and eat enough to support the added demands of their training. Many years ago I classified myself as a 'sugar addict.' For nearly a decade, spanning my mid-teens to my mid-20's, I put forth a daily struggle to consume fewer foods that I 'knew' were unhealthy. I had many victories, but within a week I would almost always cave in and eat something really 'unhealthy,' and would do so in ever-greater amounts. In other words, in an attempt at junk food abstinence, I set up a repeated cycle of binging, followed by starving, followed by binging again ' harder and harder with each round. And each round became more frustrating and shameful. The more I failed, the more guilt, shame, and self-loathing I experienced. So I lived with a song of self-punishment playing in the background of my life. This came to a climax at 26 when I went 44 days on a very low-sugar, low-calorie, monotonous diet while making my way through Wyoming's most rugged and vast mountain range. 'You have to work for the right to eat,' I convinced myself. 'The luxuries of modern life are not to be taken for granted.' And I certainly worked very hard for very little of it ' food and luxury that is. The result? My 'addiction' got worse, and I developed new addictions in the process. After the 44 depleting days I developed new addictions to coffee, tea, and chocolate in addition to my sugar addiction, which was magnified several times over. Alcohol had become a lot more exciting as well. I now ate a couple pounds of candy and chocolate and 10 cups of caffeinated tea daily. I started turning up all offers of beer instead of turning them down. Worst of all, I felt really defeated. My attempt to break myself of my weaknesses had failed. And I felt more powerless than ever as I put away 'fun size' candy bar after fun size candy bar ' rarely going more than an hour without having a couple during waking hours. Luckily I had broken myself, and really had to develop a different relationship with me. It was at that time that I started dabbling in alternative 'spirituality,' and adopted the practice of diffusing feelings of guilt or self-loathing when they arose as my highest priority. When it came to sweet treats ' ice cream, cakes, candy ' I would smile and eat them slowly, focusing on all the flavors and textures in a very sensual manner. And something remarkable happened. The compulsive need to eat such things completely went away. Of course, I no longer was punishing myself with hard exercise in response to my 'moments of weakness,' nor was I starving myself in repentance the rest of the week. So all of this worked synergistically together to break the psychological pattern that really was at the root of the compulsion to begin with. Loving myself, choosing to enjoy the experience of eating yummy food instead of feel anxiety and guilt over it, and not consciously trying to make up for lapses in willpower through barbaric dietary strictness and 'binge exercising' diffused the whole circle of addiction. It's as if shame, guilt, and fighting or being at odds with oneself are prerequisites for the development of addiction in the first place. At the very least, this psychological pattern is a great perpetuator and strengthener of addictive tendencies. Orchestrated by the Robert Wood Johnson Foundation, an entity whose name makes me giggle more than once, the city of Seattle embarked on an incredibly bold and revolutionary approach to dealing with its homeless alcoholic population. 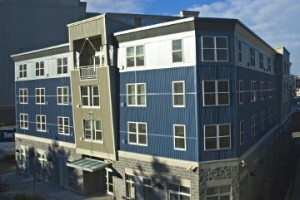 It built a very nice, $9 million, 75-apartment building with taxpayer money specifically for housing the homeless. It was a revolutionary idea, and one based on our collective understanding of human psychology and sociology instead of presumed assumptions and uncompassionate detestation of those with substance abuse problems. It was attacked for being a publicly-funded 'enabler' of alcoholics of course, even though tenants were encouraged to drink less and resources were made available for treatment. The cool thing was that it actually saved money ' millions of dollars in fact. $4 million in the first year of operation alone due to decreased medical costs, reduced need for law enforcement, and a dozen other ways that were not fully expected. And, even cooler, the amount of alcohol consumed by residents steadily declined. The longer one spends at 1811 Eastlake Ave, the less he or she drinks. Some even got off the sauce completely. The fact that they are allowed to drink however much they like just affirms that who they are is being completely honored. When helping someone out without asking for any change in behavior or other hoops to jump through, that help comes across as a lot more sincere. The energy behind it is totally different. It evidently worked, as they only had to invite 78 to fill their 75 rooms. That's not many turning down the offer, unlike what would have happened if they were forced to stop drinking or work like it was some kind of enslavement. It's also important, as I have always argued, that working at overcoming addiction is something that comes after a foundation has been built. That's exactly what went on at 1811 Eastlake Ave. You don't tell a person in a truly horrendous and desperate and depressing situation that they should stop drinking. That’s like telling someone trapped in a forest of poison ivy that it’s time to break their addiction to Calamine lotion. Rather, you need to make that person feel appreciated, put a roof over their heads, give them three quality meals per day and a comfortable bed in a quiet, safe room, surround them with people they can relate to, and, ideally, give them something fulfilling to pursue. Get them out of the poison ivy forest before you take away their itch cream. While 1811 Eastlake has probably come up a little short in terms of helping its residents find something fulfilling to pursue, it's certainly delivered on the rest of the equation. They provide a foundation with the faith that human beings, with a strong foundation, are more likely to thrive. And they are. And even the ones who continue to drink heavily or cause trouble are still drinking less and causing less trouble than they were while living on the streets. Improvement is improvement, especially when it saves money instead of burning through it faster. I bring all this up because a recurring theme since the 180DegreeHealth creation known as the 'High-Everything Diet' was developed in 2009, is that addictive fixation on certain foods or a compulsive desire to eat them typically lessens or goes away altogether (and with the even more recent development of strict adherence to whole foods falling by the wayside this is even more true). This is a phenomenon noted elsewhere too, such as The Gabriel Method, the world of 'intuitive eating,' the Health at Every Size movement, and the work of disordered eating pioneers like Geneen Roth. Part of it is nourishing yourself well. When the body is in a nourished, restful, low stress state, the desires for various crutches decline. But something changes when your relationship with 'x' addiction changes too. Tell someone that eating a certain food is bad for them and they will feel a deep yearning for that food on some level. If they indulge in the desire for that 'forbidden fruit,' a strong guilt and repent cycle can form with its own, mysterious, paralyzing grip. The greater the magnitude of sinfulness of indulging in something forbidden, usually the bigger the binge. The greater the repression, the greater the escalation and perversion ' an idea that obviously extends far beyond food and alcohol. Anyway, I think what's going on at 1811 Eastlake Ave. in Seattle is a glimpse into the future of our understanding of human behavior, addiction, and a lot more. It is a powerful example of care, compassion, and support's ability to outgun punishment and shame in the battle to bring about a better, more synergistic and pleasant existence for all involved. This is a rare case of a win-win story, but there are a lot more where that came from if we learn from this example. As far as how it applies to us, as individuals, it's good to keep 1811 in the back of your mind. The person we typically treat the worst is ourselves, and it's a valuable health lesson to break the downward circle of shame, blame, guilt, and punishment about who you are, what you've done, and what you're into. Food of course, is more of the practice ground for much bigger and more important issues. But it's a start. This post was originally posted on 180degreehealth.com. Thanks to Matt for letting me repost it here! To read more of Matt’s work, visit his Amazon Store, or subscribe to his website. This is another question I get pretty regularly, ‘How do you/How can I get enough protein?’ Protein is important for a number of reasons, and I recommend getting a fairly ample amount, it’s one of the few diet recommendations I actually make. It’s not too hard to meet your needs if you have the right information and tools though. First, it’s good to know why getting enough protein is so important. I’m not going to reinvent the wheel here, other people have covered this topic very well so I’ll summarize and link to a couple good articles if you want to know more. The current RDIs for protein are very modest and based on minimum needs to maintain health for sedentary individuals. Many studies have indicated that athletes, both strength and endurance, require more protein than the current RDI of 0.8 grams per kg of body weight in order to support adequate recovery and lean mass building. People on weight loss diets also need more in order to minimize loss of lean mass and promote satiety. It appears that amounts up to 2.6 (or more) grams per kg of body weight are beneficial for people who exercise and/or are on a weight loss diet. Many of my readers fall into one or even both of these categories. This is why I generally recommend a protein intake of one gram of protein per pound of body weight per day (which is equal to 2.2 grams per kg or body weight). To delve deeper into the science, check out this article over at exrx.net and Impruvism’s awesome post on protein needs during dieting. 1. Track your diet for a few days. It’s entirely possible that you’re already getting enough protein. Virtually every food contains some protein, even foods we don’t normally consider protein foods. Fruits and vegetables and grains all contain small amounts of protein that can add up over the course of the day. The best way to determine if you’re meeting your needs is to keep track of your diet for a few days. You may find that you’re doing just fine and don’t need to change anything. If it turns out that you’re falling short, seeing where your protein is coming from can give you ideas for bumping that number up. The easiest way to increase your protein intake is to simply increase your calorie intake. If you’re undereating (which many people are, especially women who are concerned about their weight) increasing your calorie intake will automatically increase your protein (and carb and fat) intake. Eating adequate calories can also reduce binge eating episodes, cravings, fatigue, anxiety and insomnia. Use a diet log to determine if your calorie intake is adequate. You can use this calculator to determine your calorie needs (or if you want to get even more accurate, you can geek out with a FitBit sleep and activity tracker). If you are consistently falling short, increasing your calorie intake will likely solve several issues in one fell swoop. 3. Skew portions more toward protein. This one is easy. Don’t change what you eat, simply increase your portions sizes of protein dense foods and decrease portions of non-protein-dense foods proportionally. For instance, if your meal is chicken and rice, have a few more ounces of chicken and a few less ounces of rice, but aim for the same calorie intake. You don’t need to make drastic changes here. Simple little tweaks can make a big difference without dramatically altering the content of your diet. 4. Add protein to snacks. Snacks tend to be where most people skimp on protein. If you tend to snack on fruit, add some cheese, yogurt, or peanuts. Hard boiled eggs are quick and easy to add to snacks. Or have a high protein bar like Almond Honey Rise Bar (20 grams of protein and only 3 ingredients: almonds, honey and whey). For convenient vegan options, I like Larabar Alt and Vega Sport products. Of course, getting your protein from food is ideal, and you should absolutely try to get as much food-sourced protein as you can, but if after all that you’re still not quite meeting your target, it’s ok to supplement. Really. You don’t have to drink protein shakes (unless you want to! shakes are perfectly fine! ), you can add protein powder to oatmeal (that’s what I do. My oatmeal breakfast usually works out to over 40 grams of protein when I factor in the protein in the oats themselves, and the milk and protein powder), and baked goods (I know lots of people who add protein to cookies, bread and homemade energy bars). Smoothies made with fruit, yogurt or ice cream are a great vessel for a shot of protein. Adding protein to a mousse or pudding can make a good snack or dessert. Get creative. There are lots of good quality protein supplements on the market (I give some tips for choosing one in my blog post on the topic here). Both rice and whey tend to be very neutral in flavor, but there are many other options (I use Garden of Life which is made from sprouted seeds). Another option is to add egg whites to beverages or oatmeal. Egg Whites International makes a very convenient pasteurized egg white product that you can drink…I know, sounds kinda gross, but in coffee or a glass of juice it’s totally flavorless. Please note that I’m not saying egg yolks are bad here. Egg whites are simply a really convenient way to bump your protein intake. (Egg Whites International does not throw away the yolks by the way, they are used to make other foods). Eating whole eggs is good too. Once you know how much protein you need and how much you’re already getting, fine tuning things is pretty simple, and usually won’t take too much effort. The benefits of getting adequate protein include better fat loss, better satiety and better recovery from workouts. You don’t need to live on chicken breasts and protein shakes though! It’s pretty easy to make a few tweaks to your current diet. No extreme measures necessary! Animal VS. Plant Protein: Which Is Better? Sorry kids, it was a trick question. Neither is better. Everything is contextual. Animal protein is better for some people, and in some situations, and vegetable protein is better for some people and in some situations. And in other situations, it’s a wash. Researchers at the University of Tampa compared the effects of either whey or rice protein on muscle recovery, body composition and strength increases in 24 men (matched for age, body mass, strength, and resistance training experience) over an 8 week resistance training protocol. Each subject consumed 48 grams of either rice or whey protein post workout (this is a large dose, which is relevant. I will explain below.). Their diets were matched for macronutrient ratio and appropriate calorie intake, and were supervised by a registered dietician. I mentioned above that the large dose was important and here’s why: previous research has shown that at lower doses, animal protein produces superior body composition and strength improvements to plant protein. It has been speculated that it might be due to levels of certain amino acids, specifically leucine, which are proportionally higher in animal protein. This study sought to answer the question ‘If the subject is getting an adequate dose of leucine, does the source of protein matter?’ The answer, according to this study, is no. As long as the subject is getting adequate leucine (2-3 grams), the source of the protein doesn’t matter for body composition and strength improvements. A 48 gram dose of rice protein post workout provides adequate leucine. It is only at smaller doses that source matters. The take home message here is that if you are using plant protein to support your training, make sure you’re getting enough total protein to meet that 2-3 grams of leucine benchmark. On average it will take about 35-45 grams of plant protein to get 2-3 grams of leucine, with some variation depending on what specific plant source it’s from. In theory, you could also supplement with leucine, although I have never tried this. Don’t worry, the claim that the body can only assimilate 30 grams of protein at a time is a myth. From personal experience, the more you rely on plant protein, the more you need to pay attention to making sure you’re getting an ample amount. This doesn’t make plant protein inferior, it just means you need a little more of it to meet all your needs. I get most of my protein from plants (I like plant foods better), and I haven’t had any trouble with recovery or building lean mass. I do pay attention to protein intake, and aim for about 150 grams a day (which works out to a bit less than 1 gram per pound of bodyweight) from a combination of whole food sources and a protein supplement (this is the one I use). I have never gone to the trouble of counting specific amino acids, I just aim for an adequate total protein intake. I don’t think it’s necessary to get this granular unless you enjoy geeking out on your diet. Just get enough protein over the course of the day and you’ll do fine! If you’re curious, this is the whey protein used in the study, and this is the rice protein. *Warning: this post contains epic amounts of sarcasm. Read at your own risk. I don’t share recipes often, but I was so pleased with myself for creating such a horrifyingly unhealthy recipe that I couldn’t help but share! This recipe contains so many toxic ingredients it’ll make your head spin! We start with onions, which contain allicin, which is, of course, toxic. I browned them in olive oil. We all know that heating olive oil makes it toxic. Legumes (lentils and chickpeas) contain lectins which are both inflammatory and toxic and trigger leaky gut!!! YIKES! The chickpeas were canned, so likely contained BPA (even though I used a brand that claims there is no BPA in their cans. You can’t trust Big Food though.) Broccoli and kale are both goitrogens which are, again, toxic. They also contain oxalic acid, SO TOXIC!!! I used condensed stock (which is of course toxic) rather than taking the time to prepare home made bone broth – I am a horrible person. The water I used was from my tap, which is toxic. If I really cared about my health I would use paleo water. I added some chopped tomatoes on a whim, which are a nightshade and a deadly toxin. In the plus column, I used celery, which according to Robbwolf.com is actually ok, but only if you can determine through a series of mental gymnastics that you are really, truly hungry. My hunger did not meet the criteria, so I imagine it was toxic as well. Soak and rinse the lentils, set aside. Brown the onions and celery in olive oil, then add lentils and stock. Bring to a boil, let simmer until lentils start to soften. Add broccoli stems and chickpeas and simmer a few minutes, then add florets, kale and tomatoes and simmer a few more minutes until everything is cooked through. Turn off heat and let sit for a few minutes, then serve with salt and pepper to taste. *I didn’t have any garlic or I would have added it to increase the toxicity. Enjoy! Until it kills you, of course. Unfortunately, I can’t think of a way to sell you supplements to cure undereating and sleep deprivation, though. So lets call it [insert fad diagnosis], and I’ll sell you a crap load of supplements and a cleanse to cure you. I was inspired to write this post by my kids’ frequent complaint that ‘there’s nothing to eat!’ There IS, of course, food to eat in my house. My kids just haven’t learned how to put balanced meals together yet, and I think a lot of people find themselves in similar quandaries when working to change their eating habits. Whole grains cooked in stock add a new dimension to salads and can be used as a base for stir fried veggies and proteins. Fruit and nuts are an ideal snack. Oats with nuts and fruit makes a great high energy breakfast. Cold quinoa, olives, tuna and beans tossed with olive oil and balsamic vinegar makes a wonderful Mediterranean inspired lunch or dinner. Polenta with sardines and marinara sauce is delicious! Now if I can just get my own kids to see the possibilities in our pantry! One of the questions I get pretty regularly is “How can I determine the nutrition information of recipes I make at home?” When you’re trying to lose weight or build muscle, or working to ensure you’re giving your body the protein and vitamins and minerals it needs to thrive, knowing the protein, nutrient and calorie content of your meals can be super helpful. But cooking at home using whole foods can make it trickier, as whole foods don’t come with a nutrition label! There is a way to figure out all these values, and with the right tools and tricks it’s not too complicated. The first few times you do this will be a learning process – expect imperfection. But you’ll get the hang of it quickly. Hang in there! You’ll need two tools to get an accurate idea of the nutrient profile of your recipes. First, you’ll need to find a recipe analyzer you feel comfortable with. There are dozens available online. I would say they’re all pretty comparable, so check out a few and get a feel for which one seems most user friendly to you. I use this one at Calorie Count. Many of my clients use this one at MyFitnessPal. Spark People has a good one, as does Self Magazine. Here’s one from Fit Watch. Dieticians of Canada also has a good one. Some of these analyzers require you to create an account, but the accounts are free. The benefit of creating an account, though, is that you can save your recipes for future reference and only need to analyze them once. You’ll also need a decent food scale (I like this one , although there are many to choose from at different price points ). 1. Enter all the ingredients of your recipe into the recipe analyzer of your choice, and tell the analyzer how many servings the finished product will produce. The analyzer will give you the nutrient profile for a serving of your recipe. 3. Weigh the entire finished recipe. Make sure to subtract the weight of the container you’re using to weigh the recipe. You can do this by weighing the empty container before weighing the recipe, or if your scale has a tare function, simply place the container on the scale and press the tare button to zero out the weight reading, then add the finished recipe to the container and the scale will read only the weight of the food. 4. Divide the finished product into servings by weight. Our imaginary example dish is going to be beans and rice. Enter all the ingredients into the analyzer, in this case we’ll enter 2 cups uncooked rice, 1 cup dry beans, 3 carrots, 3 stalks of celery, 2 large tomatoes, a tablespoon of olive oil and a teaspoon of salt (we’re going for simple here). Then we tell the analyzer this recipe makes 4 servings. The analyzer will make it’s calculations and spit out the nutrient profile for one serving. Then, we prepare the recipe. When the recipe is finished, we place the entire dish on the food scale. After figuring out and subtracting the weight of the container the food is in, we determine the finished recipe weighs 36 ounces. We then divide the recipe into 4 equal 9 ounce servings, and either serve and eat, or package up for later. Viola! Home made meal, accurately profiled and divided. You now know your home made meal’s macronutrient, micronutrient and calorie profile. One benefit of determining the nutrient profile of your recipes is that you can see if they are balanced to meet your goals, and if not, you can alter them. For instance, this beans and rice recipe may be too low in protein for someone on a fat loss diet, so seeing where the protein is coming from can give them ideas for improving the protein balance (perhaps by increasing the bean to rice ratio, or adding another protein dense ingredient). You can also determine if your recipe is calorie dense enough to meet your energy needs, or if it lacks micronutrients you may need to increase your consumption of. Remember, being aware of the nutrient profile of your diet IS NOT and SHOULD NOT be about restriction, it should be about ensuring you are meeting your nutrient and energy (calorie) needs adequately. Spending some time learning about the way your diet balances out over time can help you create new eating habits. Once those habits are in place, you can leave the tracking behind. When I moved from Colorado back to California in 2005, I was denied health insurance because I was pregnant with my younger daughter. My husband and I were eventually able to get coverage under his employer’s group plan, but it was not the coverage that I wanted. It was frustrating and stressful. Then last year, I was denied coverage again because I’d sought treatment for Postpartum Depression after the birth of my daughter 8 years previous. My husband eventually accepted a job he wasn’t particularly thrilled about in order to ensure I’d continue to have health coverage. I have personal experience with the frustrations of seeking health insurance as a woman. So when Mike Cahill from Vista Health Solutions Blog offered to write a guest post about the Affordable Care Act and it’s relevance to women’s health care access, I was happy to take him up on it. If anyone could benefit from some changes to the healthcare system, it’s women. Women face a unique set of issues when it comes to health insurance. They are consistently charged higher health insurance premiums than men, and conditions like breast cancer, and even pregnancy, can be used as reasons to deny them health insurance. There is no debate that this is not just, and thankfully the Affordable Care Act (ACA) is making some changes that will brighten the picture for women purchasing insurance. Read on to learn a bit more about these changes. The ACA mandates that every health insurance plan provide 10 categories of 'essential health benefits', making it so that all plans provide a minimum level of coverage no matter the cost. These categories of benefits cover a wide breadth of medical services. Some of these categories, such as maternity care and newborn care, are especially relevant to current or expecting mothers. If you are interested in the full list of essential health benefits, visit Healthcare.gov. The preventative services category is especially helpful to women. Annual well-woman visits and routine mammograms will be covered with zero out of pocket costs. This page at HRSA.gov has a full list of women’s preventative services covered under this category. While the ACA mandates the 10 categories under which every plan must provide essential health benefits, it doesn’t outline specific medical services within those categories. Each state is creating a benchmark plan that every future health insurance plan in that state will have to match to meet minimum medical benefit requirements. The Kaiser Family Foundation has a list here of each state’s benchmark plan. The ACA has ended gender rating for women buying health insurance as an individual. So, if you are a freelancing or self-employed woman looking for insurance, you should expect to be charged the same premium as a man. This small change can make a big difference when it comes to paying your premium. Chances are you have heard about how the ACA protects people with preexisting conditions. This has special bearing on women. Women with breast cancer will no longer be denied insurance because of this terrible and costly condition. In the past, women could be denied coverage for being pregnant. Since the ACA looks at it as a preexisting condition, pregnant women can rest easy knowing they can purchase coverage. While some may have their criticisms of the ACA, the law is benefiting women in a number of areas when it comes to getting health insurance. Use this information and take a look at the marketplace. Knowing the changes the ACA mandates, the available plans might start to look like a better deal than they did before. I’ve turned my popular blog series into a NEW full beginner weight lifting program ebook! And for the next week you can get it for 33% off. I’ve tried a lot of things over the course of my weight loss journey. The vast majority of the things I tried were useless gimmicks. There are a few things, though, that weren’t useless. And by far, the most important of those things is weight lifting. Beginning weight lifting was a pivotal point in my journey. It was weight lifting that ultimately reshaped my body. More importantly, weight lifting reshaped my perception of myself. Through weight lifting, I discovered that I am strong, that my body is resilient, that my body is capable and adaptable and wise. Weight lifting grounds me, connects me with my potential. Weight lifting reshaped more than my body, it healed my self perception and gave me a new appreciation for my body and what it can do. Here I distill what I’ve learned over the last five years into a simple, straightforward, easy to understand guide that gives you all you need to know to feel confident in the weight room. This guide is for those who have never lifted weights. Those who feel overwhelmed by the jargon, the equipment, the exercises. In the simple guide, I’ll lay out the basic fundamentals of weight lifting: the different training philosophies, the different kinds of equipment and what you’re supposed to do with it all, the physiological basics of the exercises, and finally I’ll teach you how to design your own workouts. To get you started, I’ve included a simple but effective beginners routine that you can follow as you get your bearings and gain familiarity and confidence in the weight room. If you’re new to my blog, be sure to check out ‘Taking Up Space: a Guide to Escaping the Diet Maze’ too. It’s my guide to body recomposition, eating to support a healthy weight, and establishing a healthy life-long relationship with food.